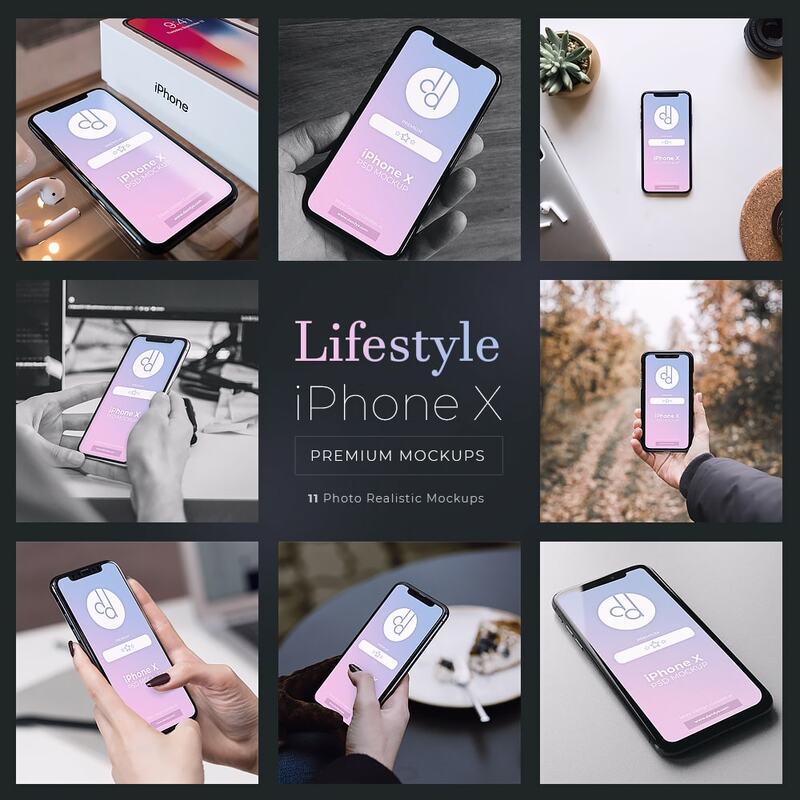 A set of 11 Lifestyle mockups for the iPhone X. Easily change the screens using the smart objects and instantly give your app screens a premium look. Looking for a great way to showcase your app screens on the all new iPhone X? This pack of 11 great quality mockups will help with that!